Never flooded during Harvey! Good street drainage. 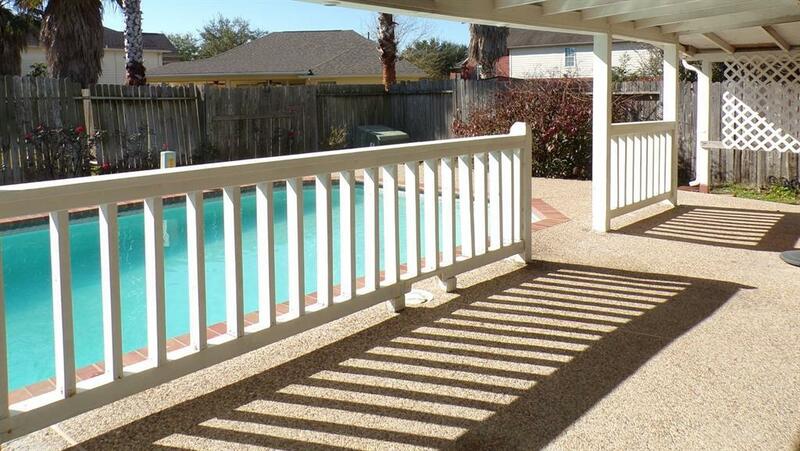 A well-maintained, four bedroom house with a pool in Sugar Land for under 230K! High-vaulted ceilings create natural light throughout. 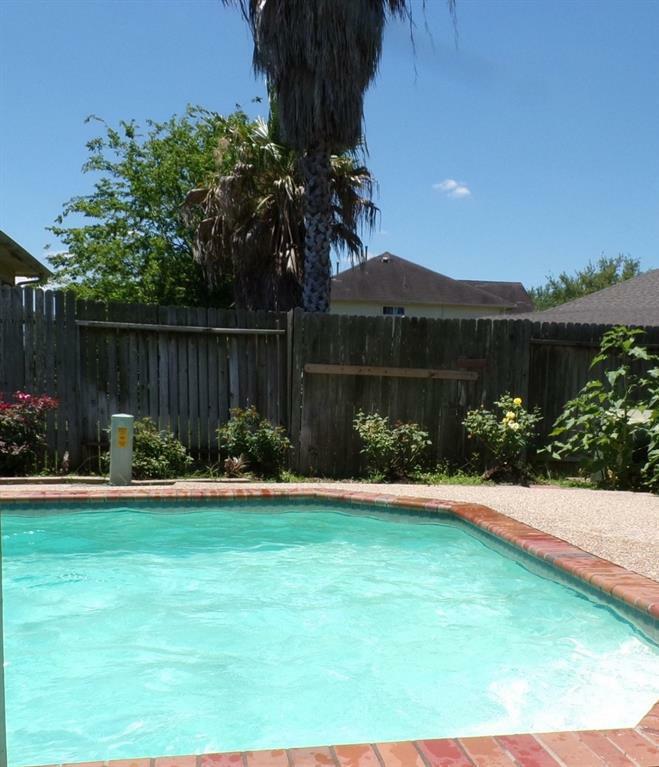 Large pool and kiddy pool. 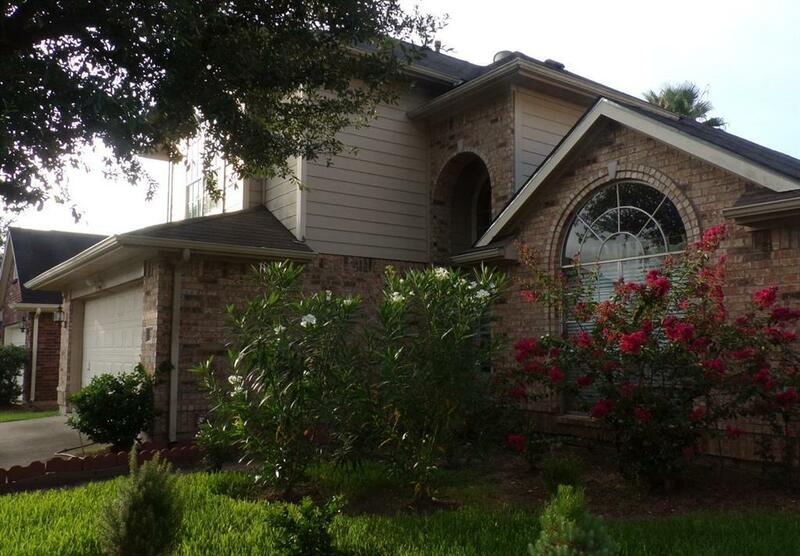 Four (4) large bedrooms with high ceilings and walk-in closets with plenty of storage. Granite counter tops. Eat-in kitchen overlooks covered patio and pool. Finished his or hers air-conditioned "cave" or storage in the garage. Double sinks and jet-soaking tub in Master Bath. Includes a water softener system, tuned-up HVAC system, and a decade old roof. 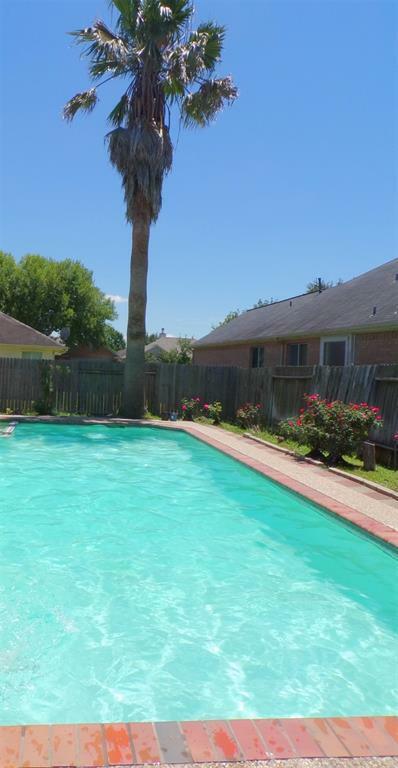 Nestled in a quiet neighborhood close to the community pool. Walking distance to Steven Austin High School and Cullinan Park for fishing. Close to Blackhawk Country Club. Minutes to shopping, First Colony Mall, and theaters. Just off of the 1464, the 99, and minutes from Hwy 6 and the 59. A must see. Home will be sold in as-is condition. Showings are a GO day or night, please call CSS or Realtor. Listing courtesy of Century 21 Realty Advisors.